The Gurung people, also called Tamu, are an ethnic group from different parts of Nepal. Priestly practitioners of Gurung Dharma include lamas, ghyabri (klehpri), and pachyu (paju). Shamanistic elements among the Gurungs remain strong and most Gurungs often embrace Buddhist and Bön rituals in all communal activities. ↑ Dr. Dilli Ram Dahal (2002-12-30). "Chapter 3. Social composition of the Population: Caste/Ethnicity and Religion in Nepal". Government of Nepal, Central Bureau of Statistics. Retrieved 2013-12-05. ↑ "Ethnohistory of Gurung People" (PDF). Retrieved 5 June 2013. ↑ Mumford, Stanley Royal (1989). Himalayan Dialogue: Tibetan Lamas and Gurung Shamans in Nepal. Madison, Wisconsin: University of Wisconsin Press. pp. 30–32. ISBN 0-299-11984-X. ↑ von Fürer-Haimendorf, Christoph (1985). Tribal populations and cultures of the Indian subcontinent. 2. Brill Publishers. pp. 137–8. ISBN 90-04-07120-2. Retrieved 2011-04-02. ↑ Robert Gordon Latham (1859). Descriptive Ethnology. I. London: John Van Voorst, Paternoster Row. pp. 80–82. P. T. Sherpa Kerung, Susan Höivik (2002). Nepal, the Living Heritage: Environment and Culture. University of Michigan: Kathmandu Environmental Education Project. William Brook Northey (1998). 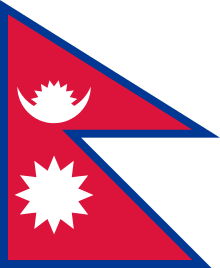 The Land of the Gurkhas, Or, The Himalayan Kingdom of Nepal. Asian Educational Services. ISBN 81-206-1329-5. Gurung, Harka (1996-01-10). "Ethnic Demography of Nepal". Nepal Democracy. Retrieved 2011-04-03. "Gurung". Britannica Student Encyclopedia online. Encyclopædia Britannica. Retrieved 2011-04-03.